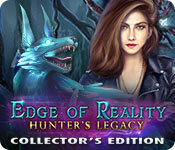 Edge of Reality: Hunter's Legacy Collector's Edition is rated 4.3 out of 5 by 34. Rated 5 out of 5 by sapphireblue11 from An All Around Fun Game! Everything fell in to place with this game. 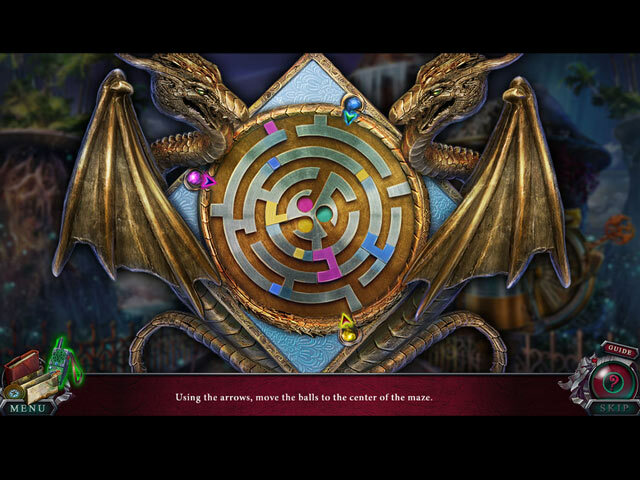 Great storyline, graphics and puzzles. The game was just long enough to keep your interest moving along. Rated 5 out of 5 by LikeAGoodStory from Using Magic That Makes Sense If you're willing to believe in magic, this is a great game, and even if you are not, it is still a good game. The magic is not overdone and it's practical, as impossible as that may sound. The same is true for the use of Elf, the dog. In other words, the gadgets and the helper are part of the storyline. Bravo! And for me, storyline is everything. This one has some great plots twists and turns so what is expected just may not happen. 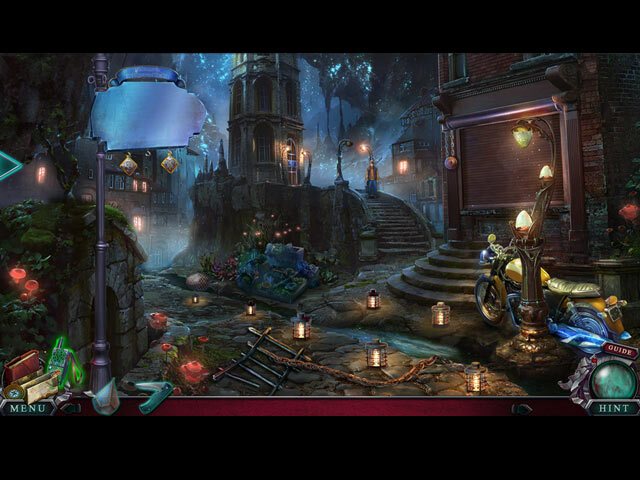 And these twists, along with some really interesting puzzles and hidden object games, make for a lot of fun. This series is rather unique in its storylines, and I always enjoy them. My review is based upon completed play of the game without the extra chapter. I rarely play those and, for that matter, rarely purchase a CE edition, because I am not a fan of morphs or collectibles but this one was free for me, and I'm glad it was. As always, play the demo first. Rated 5 out of 5 by gallica2 from excellent!!! innovative puzzles. interesting story. good blend of difficult and easy puzzles. hops were easy to see and not too numerous. great work!! Rated 5 out of 5 by snowbunny1977 from Best game play in awhile Lately the HO and Adventure games have kinda sucked. I mean they've been ok but not great and I havent given a 5 star in awhile. This was totally worth 5 stars. It was fun and the storyline was interesting and kept me interested. Got it 60% off on top of things. Only way to go. Graphics were excellent and the bonus game was awesome and not stupid like they can be. Then the dragon egg mini game was fun! Rated 5 out of 5 by Frezo from Love this game Thank you so much, I loved this game. Graphics are beautiful, and the game play is a lot of fun. I could have played forever. I liked everything about it. Collectable were fun, and I couldn't wait to see, them hatch. I liked the Storyline and the bonus game. It was a nice length and I'm sad it's over now. Rated 5 out of 5 by JPCarol from Excellent Game !!! Finally, a HOG/Adventure game with a new story line, no blood and excellent quality of both graphics and puzzles. I really enjoyed this game. The puzzles were fun, challenging and some of them were new concepts. The story line was coherent and different. The characters and creatures were well drawn and believable. I thoroughly enjoyed this game and wanted it to keep on forever. Rated 5 out of 5 by Italia47 from It's not everyday you inherit a lighthouse! 4Friends Games, you've enlightened me! Bravo, bravo! Outstanding job! I usually like to base my reviews on completed games but I'm one-third into this CE version and I'm digging it immensely! I LOVE everything about this game. What a great production! The graphics are blowing me away. The stars twinkling in the sky are so realistic and the same goes for the water lapping by the boat dock. The sound effects are excellent--the special effects are awesome--the music is great. You click on the window and you get movement and light and color. It's not the most difficult game but this game pulled me in the moment I started playing. Doesn't often happen that way with me. Also, I don't mind helpers, especially Ash, the corgi! He's too cute for words! The voiceovers, some sound familiar to me from other games, are exceptional. 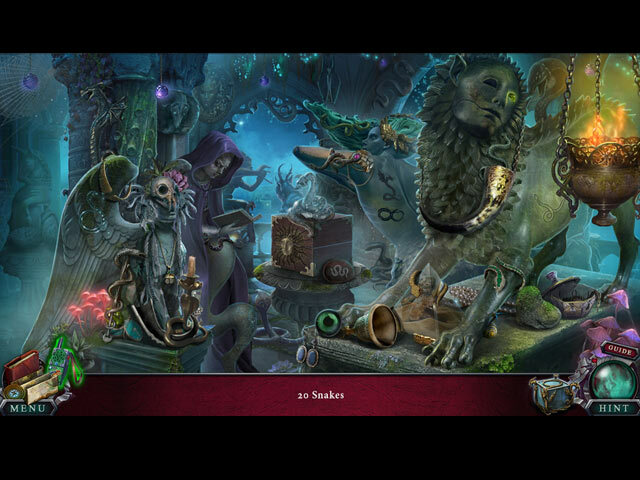 The mini-games, puzzles, hidden objects, tasks--I could go on and on. Just fabulous! It's a pleasure playing this game! The flow is right on! The storyline gets two thumbs from me. I love collecting the eggs and I'm so looking forward to the rest of the game and what it has to offer. Without a doubt, I highly recommend this game! Well done, devs! Well done! Rated 5 out of 5 by TeachumWell from Lots of Good Stuff Here! There's a lot to like and very few downers with this game. The graphics are clear and bright even in dim night scenes. HO's are clear, have big (and small) objects but no blurry or misnamed items (so far, as I've finished the demo). My 2 major disappointments? Ash and the box! I like dogs (some are even friends!) but these doggies and other creature "helpers" are anything but! They add cuteness but nothing else to an already excellent game, and worsen an inferior title. This game would be super without the pet and gizmos like the box are needless complications for me. But those gripes aside, this gem of a game is a keeper! I highly recommend giving it a try. It's HO gaming at its best!